Ever wondered how professional cleaning services make a space spotless? Here’s a guide that tells all! Are you moving to a new house and want to give the place a final clean? It doesn’t matter if you owned or rented your former place of living, a proper final clean is quite necessary. If you were renting, a good clean means you get your deposit back. If you are selling your home, a spotless house leaves a good impression on the buyer’s. In each case, you need to make sure that you thoroughly clean the house. While a proper move-out clean will take anywhere from two to eight hours, if you’re well prepared the process will seem easy and the results flawless. 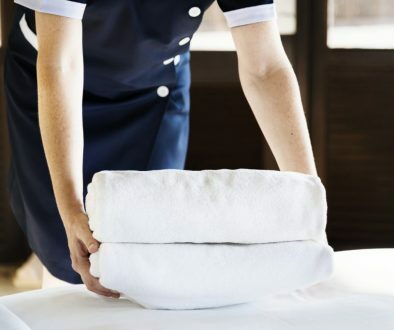 Below you will find some tips and tricks that professional cleaning services and hotel cleaning services use to leave a space spotless. When we’re cleaning at home, we may not see the need to carry around a caddy with all our cleaning supplies, but it actually makes the entire process easier. With a caddy, you can carry around all of your cleaning necessities in one go, making it easy to move from one room to another. Choose a small caddy that has dividers where you can organise different cleaning products such as sponges, cleaning cloths, and liquid based cleaners. This way, you don’t have to go looking for different cleaning products for each room (because a bathroom will require a different set of cleaners as compared to a living room). So the next time you want a good clean, carry around a caddy to save on time and hassle. The kitchen is the hardest room in the house to clean and requires the most time. Leave until last because you’ll be spending a lot of time here. Not only do you have to clean all of the different cabinets and liners, you also have to clean out the fridge, which is equally important. Remember to also remove all of the appliances such as the oven and sweep behind and under them. 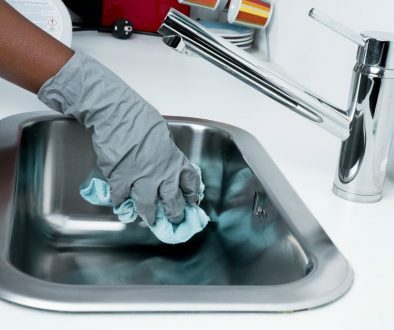 Start by cleaning out the cabinets, and move towards the countertops, disinfecting them along the way. If the exhaust fan needs cleaning, make sure to remove it and soak it under warm water for five minutes before scrubbing it clean. Overall, be sure to leave yourself several hours for the task during a move-out clean. Before you begin cleaning, get a checklist started to ensure that you cover all the rooms, and everything within those rooms. Organise your checklist according to each room and tasks that identify which items to clean, and prioritise them accordingly. You should include all of the rooms in the house such as entrance, bedrooms, basement, kitchen, garage and even balconies — you don’t want to leave anything out. An important tip to consider: when cleaning the garage, living room, bedrooms and the kitchen, make sure you dust from high to low as it makes cleaning so much easier (this way, you only have to sweep the floor once at the very end). 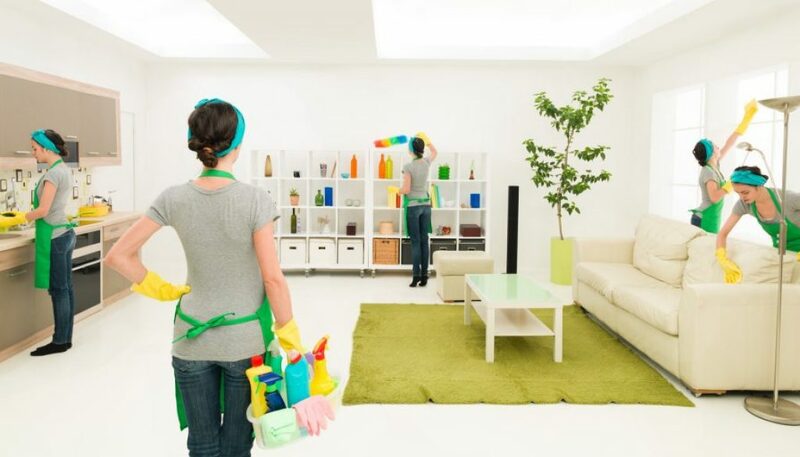 With the tips mentioned above, you can too clean like a professional housekeeping service provider. Whether you have limited time on your hands or not, these tips can certainly come in handy! Now that you know the importance of a final clean, think about how to get on with it if you’re moving. If you are short on time (or cannot clean if your life depended on it), call St. Anne’s today to have a team of professional housekeeping experts come over and do the job for you! Our team specialises in End-of-Tenancy Cleaning.